Available Shades in 1L & 5L. In Yellow’s, Golden Yellow shade and Lemon Yellow shade. 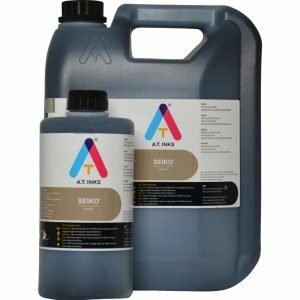 A solvent based, pigmented ink that is applied to various substrates / media using Piezo Printing Technology. 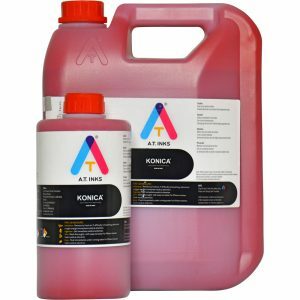 A.T Inks ink has been specially formulated for use in these Print Head technology. Substantial research, development and field trials have been conducted to bring this ink to you. 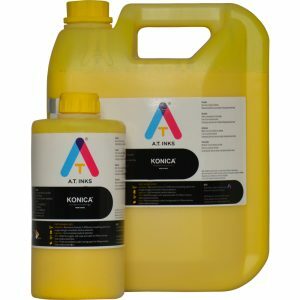 Each ink batch is checked for Colour Gamut variations, Printing quality, Viscosity, Surface Tension, Coverage area, Vividness of print, L,a,b values , Decap time, Nozzle life , Abrasion property of the ink, Adherence of the ink to the substrate, Profiling changes if any and others to ensure that the most stable quality only is supplied to our customers.